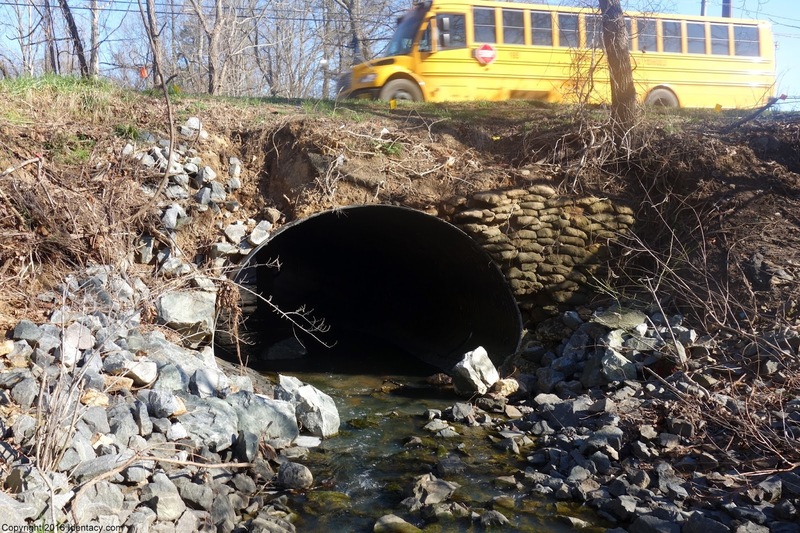 There have been many changes to Mallard Creek Road in Charlotte’s University Area over the past year. Most as a result of the now completed I-485 construction project. No question about it, Mallard Creek Road has been around for a very long time and probably dates back as a path or trail to pre-colonial times. 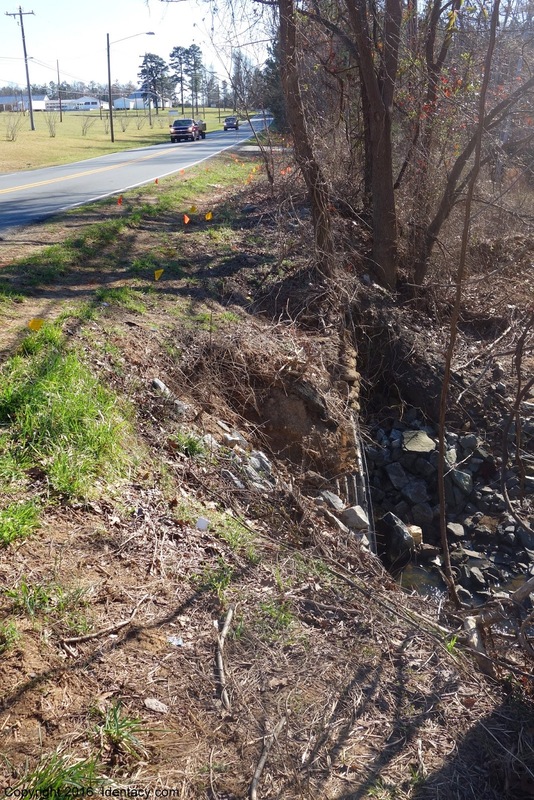 While every conceivable step has been taken to ensure that motorist travelling on the newly constructed sections of Mallard Creek Road are kept safe, we recently noticed one part of the road which could potentially result in a very bad outcome for a motorist or cyclist encountering some black ice or a flash flood on this busy road. Most likely, when the corrugated tunnel was constructed back in the day, allowing a creek tributary to cross under the road, no one in the City of Charlotte or Mecklenburg County anticipated the volume of traffic that would be traveling up and down this busy two lane road in the 21st century. 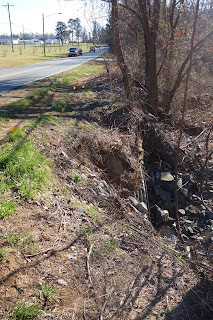 Today, a simple guardrail installed either side of the road were it crosses Stony Creek would probably suffice. In the meantime, drive with care on Mallard Creek Road. In the United States, when an accounting firm is engaged by a business client to carry out an audit, it is generally understood that the firm’s state licensed professionals will work with the public interest in mind and not necessarily the clients. In other words, the firm carries out the audit for the benefit of all stakeholders which includes: shareholders and investors, creditors (including lenders) the federal, state and local tax authorities and of course the general public. After all, without someone watching over businesses to make sure that they play by the rules, our society would almost certainly take a turn for the worse. Certified Public Accountants and other licensed professionals who provide a range of accounting and audit services to businesses either individually or through a firm are the traffic cops of commerce. The people we rely on as a society to keep their clients in check and above all, toe the line when it comes to keeping financial records and paying taxes. Consequently, when an accounting firm is identified allegedly not working in the public interest, they not only betray the public’s trust but they place at risk their reputation in their profession and the various state accountancy boards across the country which license and supervise them. Unfortunately, here in Charlotte, several local CPA firms believe that it is an acceptable business practice to look the other way when clients (or their employees) cheat the system. This of course, includes defrauding the federal, state and local tax authorities. Even the partners at one of the so called “big four” CPA firm located on North Tryon Street in uptown Charlotte, appear to have forgotten about the EnronCorp scandal and the consequences for that company’s auditors Arthur Anderson LLP whose partners appeared to place earning “fat” fees over integrity and meeting the public’s trust. Here’s the problem for Charlotte; poorly supervised accounting firms on the part of the North Carolina State Board of Certified PublicAccountant Examiners can eventually lead to a lack of faith in the financial records produced by all local CPA firms (good and bad), resulting in investors, lenders and even start-up business giving Charlotte, the region and even the state a wide birth. Not exactly what a growing city and region needs in order create jobs. They are Unsightly and Potentially Dangerous, but Nobody Seems to Care! Urban decay doesn’t necessarily start in a community with the shuttering of a factory or mill. It also starts with government allowing the little things that silently and sometimes invisibly impact people’s lives in a negative way to go unchecked. 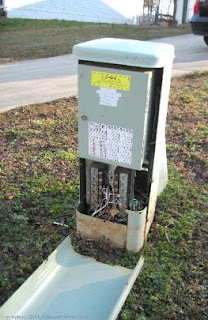 Telephone and cable company utility boxes are a prime example. Often painted a light green color in order to blend in with the lawns they sit on, utility boxes are a common sight in Charlotte neighborhoods. But increasingly, maintenance and care of these boxes by utility companies is becoming less frequent resulting in damaged or vandalized boxes being left unattended and in turn resulting in exposed wires being left open to the elements and worse, inquisitive children playing in the neighborhood. Poor supervision by state utility regulators coupled with poor enforcement of local municipal codes by city and county authorities only contributes to the problem. This begs the question; who is ultimately responsible for policing the safety and upkeep of our neighborhoods including utility boxes in order to prevent the ever present threat of urban decay? We’d would like to know?